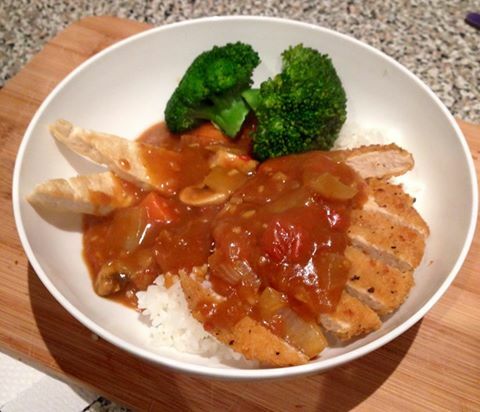 customer comments SAORI Premium Japanese Sauce.Made in Australia. 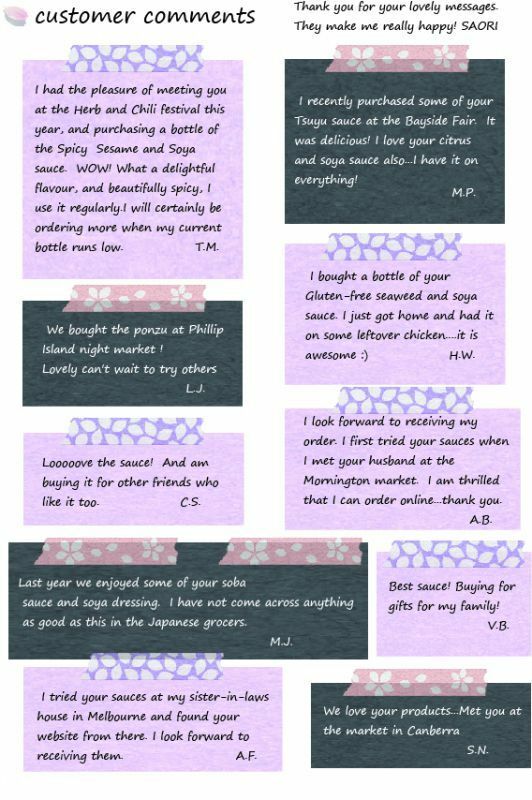 Below is what some of our customers have said about SAORI Premium Japanese Sauce. 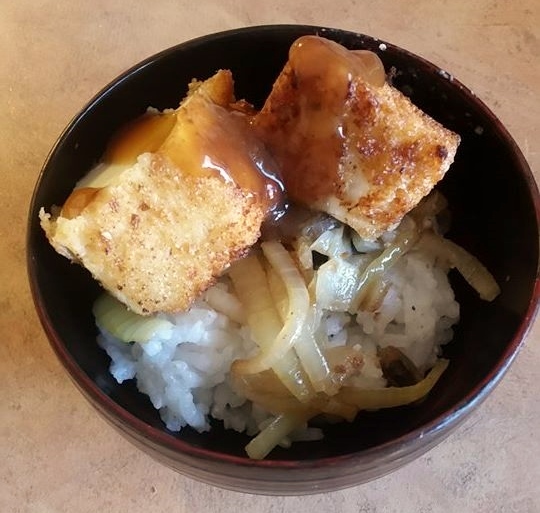 *If you would like to send a comment about your experiences using my sauces or a photo of what you cooked...I would love to hear from you. Thank you so much! My order arrived today. I had the pleasure of meeting you and your husband at the Churchill Island Market earlier this year. We really love your produce!